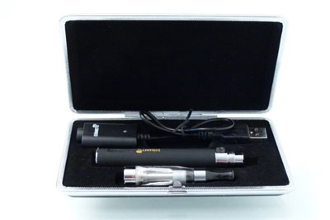 This eGo clearomizer Kit is great for travelers or people on the go. Pick your favorite eGo battery and choice from several great eGo clearomizer choices. Both in a number of colors and designs. Having an eGo case for your ego clearomizer kit is not only fashionable but practical, giving you a safe place to store your ego starter kit between uses. The USB charger makes it possible to charge your e-cigarettes from any electronic with a USB port such as your computer or car stereo. Depending on the amount of vaping, a 10ml bottle of e-liquid will last 4-7 days so make sure to check out our awesome BUY 4, GET 1 FREE offer on 10ml e-liquid.